Well, just a quick post to say Merry Christmas (a little late) and Happy New Year!!!! Shay and I are having a blast as a family continuing to get to know Lulu and loving on her each day. We had a travel filled Christmas with lots of love, laughter, and memories with family. We hope each of you had a great break and got to sit in awe of the Lord and simply sit with your family! 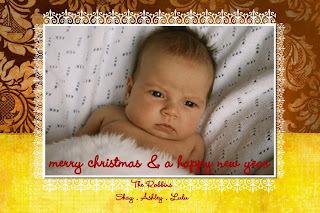 Here is one of the Robbins' Christmas cards. Can't wait for summer 2010...it will be here so soon!! SHE'S HERE! Lucy "Lulu" Reese Robbins was born on November 24, 2009 at 8:27 pm. She weighed in at 8 pounds 2 ounces and was 22 inches long. She has a head of dark hair and is perfect in every way! I can't wait for you all to see her this summer at K2. Oh, I just can't wait! With her arrival means that this month the blog will somewhat come to a slow stall...I am going to do my best but also want to be realistic with my time. I want to step away and let kamp stuff slow for this month to really focus on the Robbins' family. So this next month will be rather slow in kanakukashley.com. Thanks for understanding! Oh, to simply have someone to send this letter to with my thoughts and sadness of my interaction this past week with selecting paint colors. The journey for Shay and I started with excitement as we picked out colors for each room with thought and love. I had a dear friend even step in as an interior decorator with her eye for style. 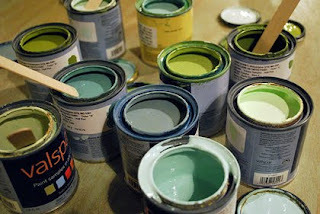 We joyfully arrived at Lowe's to pick up our first itty-bitty sample can, but yet knowing we would be back for those colors. This happy, blue sky moment was short lived and a rare fleeting moment for paint selection. We were then met with colors not matching, looking 100% different once it totally dries, coming too strong once put on all the walls in a room, or not being able to tell any difference. The moments of anguish grew with each itty-bitty sample can that was charged to the world of our debit card. I finally decided to put my foot down and pick colors...no matter what. I ordered gallons and quarts and headed on my way, spirit distraught with all the what if's of all the other color chips still to sample. Mr. Paint Technology I want you to know that the general colors have now all grown on me (except for Mr. Paris Mint in our future guest room who is still a tad to much like an easter egg) but the anguish and turmoil you caused I am not sure I can forget...so start upping your research mister because if I ever paint again (which could be soon if this mint color doesn't grow on me soon) I will beat you this time with your sample cans and paper chips in different lights. I have learned your game and will master you if we ever face again. Today, I am feeling overwhelmed and humbled. My eyes are somewhat heavy, not sure if that is from preggo night time bathroom breaks or from a spirit that is humbled from a day full of God's grace and love. Today the Lord used so many moms, dads, parents, and answering machines to bring joy to my heart. It made me think of the study my friend, Katie, and I are doing with our 7th/8th grade small group. 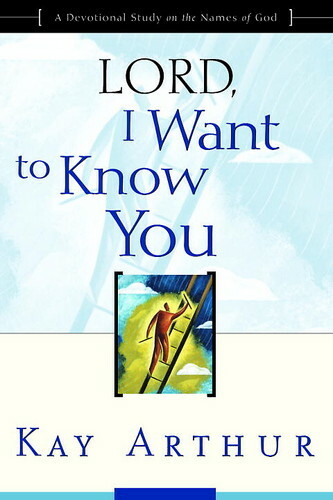 We are doing the book below and it is a week by week study on the names of God. INCREDIBLE! I always tell the girls if they aren't getting stretched, amazed, and humbled by this book...I sure am! Every week! This past week when I taught it was on Jehovah Jireh which is the name of God that means Provider. Boy oh boy has He made that name of His so very clear this week. He has provided so much in terms of encouragement. He has provided moments of awe of who He is...and by giving me those moments He has used many of YOU! Moms who are prayer warriors and when I hang up the phone I am left simply more humbled and more prayerful alongside them! It's been an awesome day...even with the heavy eyes! God is so many names (seriously, get the book!) but today I am reminded and in amazement of Him as my Jehovah-Jireh: God Our Provider! Today is November 13th and it has been a quiet day here at the Kanakuk director's building. Everyone is finishing up the week of traveling and I have been working away in Branson. Today for some reason I got so excited in thinking about Thanksgiving. So I thought to myself, "Self, why not post about Thanksgiving today? It's not like you have any other ideas." So here I am. I thought as Thanksgiving gets closer I would post every once in a while about some of my favorite things about Thanksgiving. Please feel free in your heart to join me in thinking through your favs about Thanksgiving. Here are 2 to start: 1. FAMILY...I can't wait to be with family! Shay's family (only some sadly) will roll into Branson, MO and mine will be coming in as soon as Baby Girl Robbins decides to grace us with her presence. I love the laughter, love, and just connection families share. I can't wait! 2. 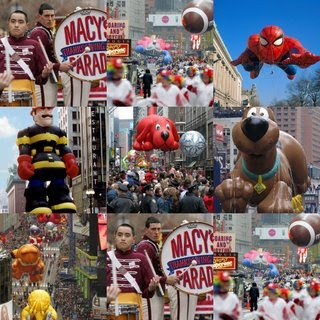 The MACY'S Thanksgiving Parade. Oh, my heart is swelling with pure awesomeness at the thought of awakening early, making (well, "fixing" Pillsbury brand) cinnamon rolls, and watching the parade with the hubby! (if ya'll could only see the glee in my office right now just typing about the parade. My mom hooked me on this parade a very young age and as a teen I used to mock my mom for her love of the parade and now we share the passion for the parade. Mom, don't worry I'll call you during the parade to talk about if we think the singers are or are not lip singing...my brother burst that thought when I was like 17...I really thought it was live singing. Okay, so there are 2 memories/moments I am so excited for! Join in with the glee and think of your favorite family memories of Thanksgiving...what's not to love? Goodness, sorry it has been a few days. Shay is gone this week for the Kanakuk Movie Tour (so sad not to be with him in Wichita Falls, Ardmore, Edmond, and Enid) and there was a lot to be done. This post is purely the goings of life right now...not that anyone really cares but I just didn't know what else to post about. 1. We bought a house! What!! We have lived in a precious little cabin for the past 3 years that is very close to work...very close! But the Lord totally totally opened some doors and so we are moving into a house in the next 2 weeks. 2. Our car tags had to be renewed. Some might say this is a minor but man the state of Missouri, or whoever, needs a lot of information to renew your tags for our truck. We had to get tax receipts, copy the insurance card, then I had to go get it inspected. I felt very official. 3. Doctor's appointment and a baby class. Well, yesterday was another weekly check at the doctor on still-no-name Baby Girl Robbins. So I spent the whole day up in Springfield heading to some cute stores, returning stuff, and getting fabric b/c I have a precious new friend, click HERE to see her stuff, that is making our crib bedding! Woohoo!!! 5. Thank you notes. I grew up with a precious mom who would write a thank you note for getting a thank you note so it is very etched in my soul to write a thank you note quickly. I am a little behind but have had 2 nights of HSM 3 and Thank You Note Writing! Hysterical! So that has been some of the things on my list this week. A little update on Baby Girl Robbins is that she is doing great. My doctor is just incredible and says that she is measuring perfectly and "turned" the right way to make her way into the world. WHAT IN THE WORLD? ME AS A MOM IN LESS THAN 3 WEEKS...LAUGHTER AND TEARS OF FEAR! Just kidding, it's going to be awesome with I'm sure moments of panic and cluelessness but I'm hoping laughter will be a normal part of my life every 5 minutes once she gets here! Please be praying that she comes on time or even a little late. Shay has 1 more week of traveling to schools in Oklahoma and then will be done. I am feeling great and actually still love being pregnant. 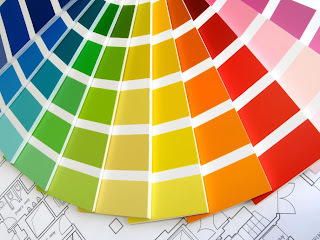 I have started to have some somewhat restless nights...last night I thought of paint colors for our new house from 4:30-6:30 am...what in the world! Sorry I wasn't very spiritual...I just couldn't stop visualizing the look of each room. So, all in all, she is on course for November 30th or somewhere around there. Thanks for everyone's prayers and love! I can't wait for you all to meet her when you ALL return for Kanakuk K2 Summer 2010. I'll try my best to blog once she arrives to get her name and some pics up! This is unreal! What if we started a jump rope specialty! That would be so awesome! This is kind of long but towards the end is the crazy, awesome stuff! The summation is this...Kanakuk should never be about a director, Joe White/Trish/me. 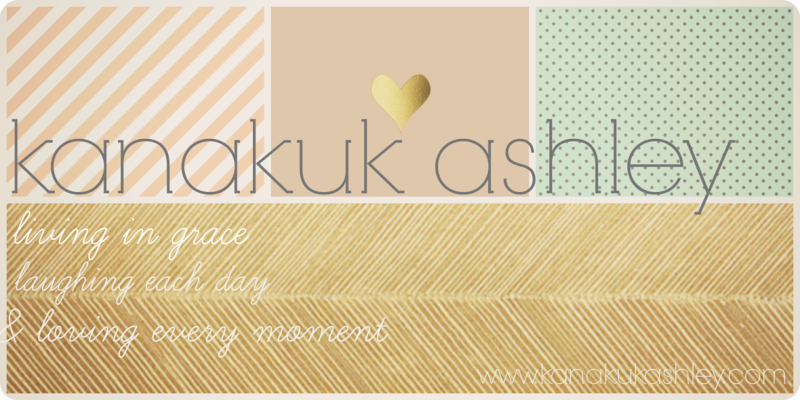 Kanakuk should never be about this silly blog. Kanakuk should never be about the postcards or emails I try my best to send out. Kanakuk should never be about what we can do for you (that sounds awful typing but hang with me). Kanakuk is & always should be about pointing hearts, hands & feet toward the cross & heart of Jesus. I must admit sometimes in this job I get overwhelmed if I fail & forget one of your precious names or my talks in the summer are the "funniest" ever...why? 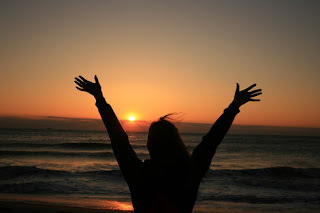 My job is not for every kamper to want to be me (Lord, help us if that were true) but for every kamper to see Jesus in me which prayerfully will want them to know Jesus not Ashley Robbins. Jesus is way cooler! As I rethink ministry I see moments, sometimes long periods, where I was doing this job for kampers to know me & want to be me, come back to Kamp each year because of me. How silly and prideful! I want you all to come back to K2 because of Jesus, come back for the fellowship of encouragement, come back for the joy that fills your heart that the world steals from you for 340 days of the year, come back to be changed/refined/strengthened/loved by JESUS. So all that to say it's making me look at ministry differently. It's making me walk each day in freedom that my job is to be hidden in the Holy Spirit and for "kampers/staff" to see Jesus and want to know Jesus...not want to know Ashley. Hello, conviction! So there's my heart...thinking so much today of you all...I realized yesterday as I talked to a mom that junior high and high school days are so hard for you all now...but remember that the 4 years of high school are fleeting compared to living with our Lord someday! Woohoo! Well, Shay and I are officially off the road for 1 week...well, and I'm officially off the road till January b/c I'm too close to our due date. Girls, this baby is due in 4 weeks....AHHH!! (that's me screaming somewhat out of panic and mostly out of joy/excitement). 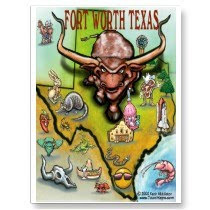 We have been on the road with Kay Holliday, Keith Chancey (you gotta check out the Kanakuk Institute) and Will & Cindy Cunningham. We have had a ball! Lots of laughter, prayer, great conversation, and deeper friendships. We have been able to see and meet Kanakuk families that have been just incredible to be with even just for a few hours. I am back in the office soon and have lots to catch up on. I'm sorry if you have emailed and haven't heard from me. I promise to email soon. Shay and I in our outfits for "Tommy & Tina Meatballs." We were an italian couple who had the next kamp theme..."DON'T forget about it." Okay, I must admit my posts are not all that fun but I just have very very limited time while on the road to see you girls and families. I love traveling for Kamp and it is such a great time of adventure for Shay and I and whoever we happen to be with that week. This week we are with Will & Cindy Cunningham (the K-Kauai directors, that's our family kamp) and it has been a blast. At this moment Will is doing the Mom's Coffee and I am catching up on blogging...why not? Anyways, prayed for you girls today...prayed for your heart to love Jesus more each day. 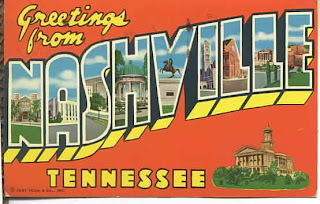 We are in Memphis and headed to Nashville today. 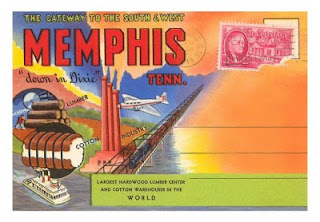 From there we are in Little Rock, AR Wednesday night and then Conway, AR (Kris Allen's hometown and Jordan Short's town) on Thursday. Woohoo! Then Shay and I are staying in Arkansas to get time with my parents and their church! It's going to be a crazy week with lots of fun people! Hope if you are in one of those towns that you will come by...all details for whens and wheres are HERE. Well, I only have a second but we are on the road again. We headed out yesterday for Wichita, KS and we will leave after the Mom's coffee here to go to Liberty, MO. If you are a Liberty girl come on over. You can find details by clicking HERE. I would love to see you all! (Side Note: then I'll be in Lee's Summit (Wedneday night) and then Columbia (Thursday night). The baby is growing and I have an appointment on Friday for our 2 weeks check ups as they start. Please continue to pray for health for our sweet little one. I would also love for you all to be praying for the Kamp Movie Tour. We are spending this year to simply travel to come visit/love/serve our kamp families. Our kamp families are just unbelievable! I feel humbled and blessed by them. 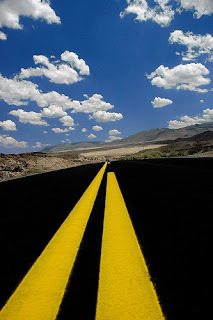 Please pray that we continue to simply love/serve as we are on the road. Well, I am in the back of the Ft. Worth K-Life as Joe is doing the Mom's Coffee event for these precious moms. It's been an awesome start to our week in Texas. We had the Ft. Worth KanakukLive last night and had a great time. It was such a great time to be with FAMILY. I love that about Kanakuk that all of us...from Joe, to precious 8 year olds, to moms, to directors and to dads are all a part of the FAMILY OF KANAKUK. Anyways, we will grab lunch and be headed to Houston for KanakukLive tonight! All you Houston girls and guys we would love to see all of you! 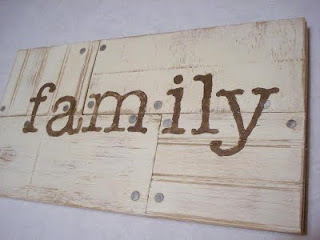 See my blog posts a couple down for details or click here. Please pray for safety for all 5 vans we have out and about this week. I awoke this morning to God's sweet reminder of faithfulness. I am so humbled by the KANAKUK FAMILY. Truly truly! Well, this morning I am so humbled and so very blessed! I sit here with a podcast playing of a sermon from Watermark Church, Rick's Bakery cookies (bakery in Fayetteville, AR), organization binders for Kanakuk Movie Tour (which starts this week), a belly moving from a little one growing, and pictures of a humbling day where I (and baby Robbins) felt so special and valued. I wanted to remind each of you today that you are so special and valued. I was reminded this weekend with the baby shower of the AMAZING community here in silly Branson, MO. I pray that each of you have community that uplifts you and encourages you in being a young woman of the Lord, community that makes you laugh, and community that walks through trenches with you too. 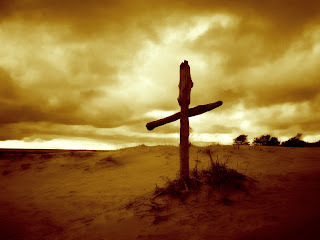 I hope, even if you don't, even if things feel lonely for you, that you know God is ENOUGH. He loves you and values you so much. I am teaching a Kay Arthur study to my 7th/8th grade small group about the names of God. We have learned 3 names thus far and I don't know if my small group girls are learning anything...but it is knocking me to my knees and face! We have learned: Elohim (Creator, John 9:2-3), El Elyon (Most High, He is Sovereign), and El Roi (God who Sees, Proverbs 15:3). Girls, God loves you and made you for his mighty works, He's in charge even when things are lonely or spinning out of control, and He sees all. 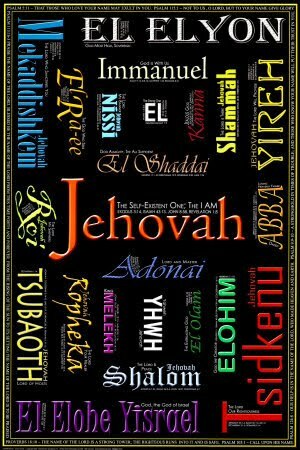 So thankful for the many names of God. 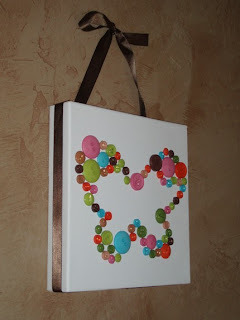 My friend Jane (please check out her Etsy.com site: Click HERE) did the decor and it was precious! She made the onesies and burp cloths. K2 Holler! I think some of the other K2 girls had left but here is Brooke Roberts and Casie Hilton! 2 Awesome K2 Leadership gals! They are both doing the Kanakuk Institute this year. A sweet Kamp family came in for the shower and got Baby Robbins her Baby Einstein jumper! Woohoo! Our daughter will be smart...right? These cupcakes were made by Rachel (K-Kountry director) and they were delish! The white icing was a pumpkin spice cupcake with like cream cheese icing...ya'll seriously, yum-my! Shout out to Term 3 staff from 2009...Thanks for the pack and play. I love it!!!!!! This is the print I picked out to be neutral for the many kids that Shay Robbins wants to have. My friend Rachel (also made the cupcakes) made me a blanket that in the corner had this little patch and when I have the baby she will sew a little circle on it. PRESH! This is one of my fav outfits I've gotten. 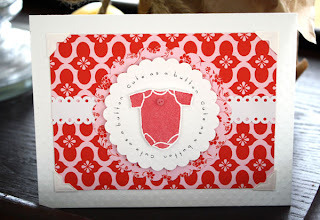 It's from a dear Kamp family in KC and it is just too cute! 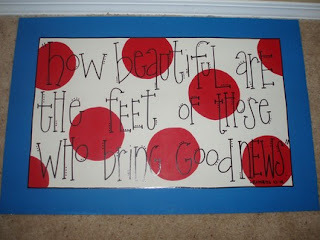 Okay, I'm realizing most of my friends are THE craftiest people in the world. My friend Stephanie made a prayer box for her room. Here is the inside of the box. She makes labels with subjects on them and then what God's Word says on that topic. This will be so awesome on the late night feeding times with our precious girl! K2 Guys and Gals, come on over to Dallas for a fun night of fellowship with Kanakuk directors and staff. Click HERE for the link to the event page on Facebook. Don Ford, Shay, and I will be there! 1. 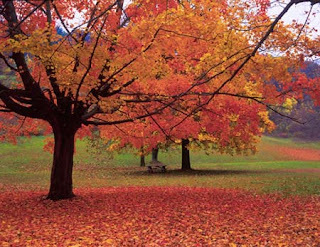 FALL: I love Summer because of Kanakuk but I love the Ozarks when leaves start changing and the colors burst forth (did I just type burst forth?) that are just beautiful! 2. 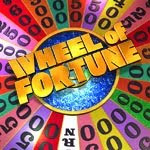 WHEEL OF FORTUNE: I love this game show. I have been watching it more the past couple of weeks and I think if they had a couples show that Shay and I could have won it all! Shay always starts just saying random words with the sounds of the letters on screen...hysterical! 3. 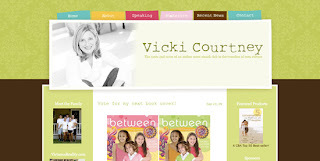 VICKI COURTNEY'S BLOG: I totally don't know Vicki Courtney but parents she is great. Her blog is very current and relevant with a sassy biblical mom's tone. Click HERE to check it out. 5. HGTV: I just love anything on this station! Well, not some shows, but mostly all of them. Shay and I live in our little loveshack but someday when we have a house I hope to use all these ideas...and by me using them, I actually mean all my friends that are talented at house stuff! 6. 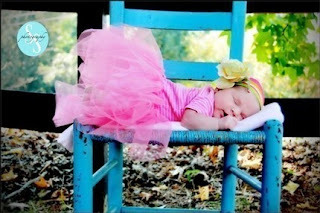 GIRL TUTUS: Well, since Shay and I are having a little girl I have discovered these easy to make no-sew tutus. They are awesome. I have already bought tool (not sure if that is how you spell it...tull?) and hopefully will have some craft time soon! I'll call my friend Jane...you can see more HERE. 7. CARAMEL APPLE CIDER: Girls, I had the most amazing caramel apple cider at this place in Chicago this weekend at a place called LePeep. DELISH! It was so great! Now, I'll have to find a good recipe or find a place that has it in Branson, MO. 8. 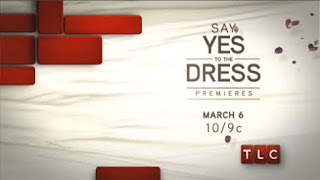 SAY YES TO THE DRESS: This show is on TLC. I have seen it during my lunch break and it just makes me laugh. The pressure of the sell and the consultants...oh, and some of the brides crack me up! It feels so intense as they try and close the sell. So fun! 9. SIMPLE SHOES: I love simple shoes. My friend Callie has a pair and I told her yesterday I might be copying her soon! I have to save up some money and ask the hubby but maybe they can be my "I'm about to go on Kanakuk Tour for 3 weeks" gift...we'll see! Click HERE to see my favorite pair. 9. 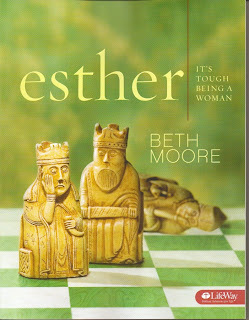 BETH MOORE STUDIES: Any of her studies I just love but I am doing the Esther study and it is just great! She is one of my favorite authors as she draws you to God's Word and makes your heart pulled into even the hardest of scriptures. It's awesome. I have done 4-5 of her studies and all have been awesome! 10. 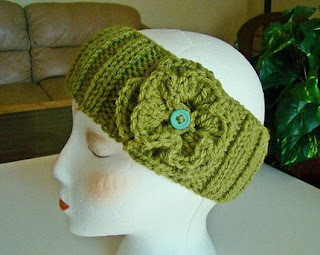 CROCHET EAR WARMERS: Okay, this is another find from Chicago. We found this precious boutique and it had these crochet ear warmers with big flowers on them. I bought one in red and my girlfriends did too. They are so cute! 11. SOCK/SHOES FOR BABIES: I am obsessed! I love these socks. 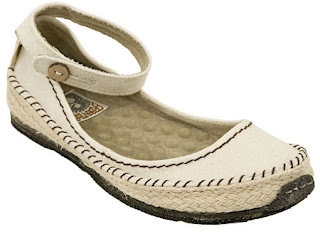 At www.target.com they have all different colors and designs...some look like Mary Jane's and others like sneakers, crocs, ballerina shoes, etc. They are awesome! 12. 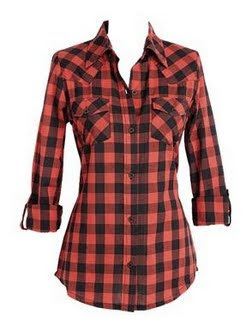 PLAID LONG SHIRTS: I am rather addicted to plaid long shirts for the fall...you can wear with jeans or leggings, flats or boots...I just love them. Well, there are a few of my favorite things. This is a totally random post (I seem to be the queen of randomness these days) and I hope it makes you laugh or just ponder your favorite things right now. 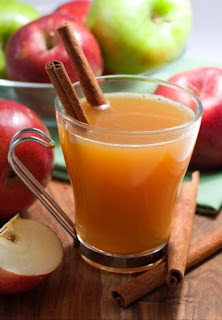 So today, go out and drink some caramel apple cider and know that I would love to be there with ya!